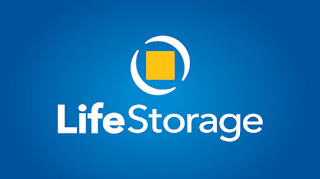 Collectors of all genres, I am here to warn you about this one storage facility company called Life Storage. You should beware of all public Self Storage facilities, but I wanted to share my bad experience with you about Life Storage. This is my second time renting a storage unit and never had a problem with storage facilities until this past year. In 2015, this storage facility was managed and owned by Magellan. It wasn't until earlier this year that this Magellan location was bought out by Life Storage. When they changed owners, I didn't think there would be any problems and continue as normal. The first sign should have been that they did not directly change their names to Life Storage until near the end of the year. From Magellan Storage, the building was changed to Uncle Bob's. The tenants were not given notice that the facility was going through a change of ownership. I thought it was a funny thing that tenants were not told in advanced. I should have paid attention then because if I had done any research, I may have learned of past break ins or any information regarding the new owners. What I did not know is that in the next few months that someone would be rummaging through my personal property that I had entrusted in the hands of Life Storage. One or two times, I had a suspicion that something was moved, but I figured it was my imagination. It wasn't until recently that I noticed something misplaced and moved to a spot where I have never place items. I advised the storage manager, Mike, of my suspicions and the plan to add a second padlock on the unit. At the time, I wanted him to do something to help ease my worry and one of it would be is to scan the recorded footage. When I moved into this storage facility, they had camera footages of all areas. Mike proceeds to tell me that they have no camera footage of where my unit is located in the building, when in fact, I know there is a camera near my unit. His whole attitude about the cameras was off putting, to say the least. For one thing, I did not believe him. Less than a week went by and I received a call from a so-called "worried" Mike telling me that I had "forgotten" to push the lock slider closed when I added my TWO padlocks. He made it seem that it was my fault. I had just recently informed him that I was going to add a second padlock and he was turning it around on me, which made me very suspicious because he wasn't acting right -- for a manager. Managers are supposed to help you in situations like this one. I arrived at my storage unit to find one of two padlocks were cut off with a bolt cutter and is now missing. My other padlock (which I purchased from the storage location) was still left behind untouched and in a locked position. We went to report the missing padlock. Before Uncle Bob's took over, their security cameras were all working, but now some of their camera feeds were conveniently blued out. Again, Mike was very suspicious because he acted like he did not care about my situation or apologized for any inconveniences that it may have caused. After filing my police and insurance claim, I learned there were other burglaries at the same Life Storage location. I was angry to learn that Life Storage never bothered to send out any advanced warnings to their tenants. It also raises my suspicions of an inside job when I heard from someone that "they" knew it was done by a guy. In the end, I realized change of owners should have been a red flag of concern because I should have researched on the new owners. I misplaced my trust here. They let me down. If you learn of past break-ins from your research, do yourself a favor and prevent yourself from a heartache-- rent a facility that has alarms in EACH unit! Remember what you pay for is what you get. You're paying for your personal belongings to be secure and protected!! Another big factor: NO EXTENDED HOURS. Once the facility is in lock down, it helps prevent burglaries from happening. Beware of change of ownership. The facility changed their names TWO TIMES in a short span of time. Google them. Do your research. 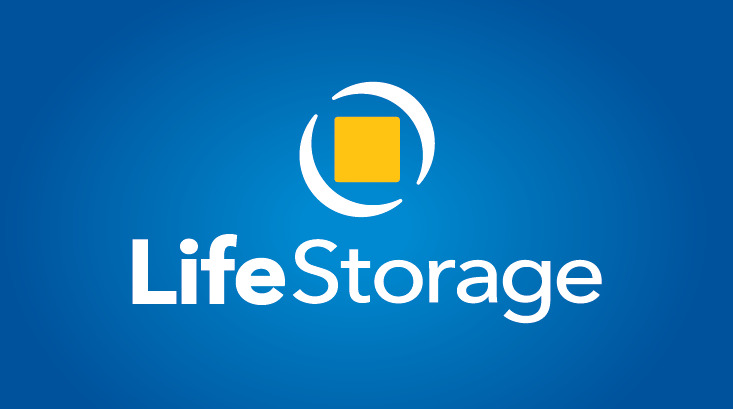 Life Storage owns another location in a different state where there was reported of burglaries - inside jobs do happen. I read online that owners conspire with auctioneers to steal your stuff that can be sold for a lot of money. Read up on it. Keep an Inventory list with pictures or descriptions (I had a list on a few of my bins which was taken off - they were hoping that I wouldn't notice such things). I had all my bins filled up and now, they were not full. Things that I had recently bought was placed inside my bins, where I had never moved them before. They were re-arranging my items to prevent me from thinking that items were missing. Another thing to look out is that theives leaves things clean. What I mean by that is if you have items in bubble wrap, they will take it off. If item is worthless to them, they will leave your item in the bin and throw the bubble wrap for you. Remember, they want you to not catch on so that they can continue to spy on what you are storing. Don't buy locks from facility storage owners. You never know if someone has a master key or not. Research on the lock to see if it can be easily opened. Thieves are looking at collectors to make big bucks like MINT Barbies. Do not store expensive jewelry or electronics, unless you want to draw attention to your unit. For storing expensive jewelry, rent a box at the bank. Be on a lookout for people to rent a unit to case out the joint. Ask if police patrols the area or if they have any communications or relationships with the police. Take pictures before you close your unit. Check your unit when you open it. Refer to your pictures. Do not rent from Life Storage and Magellan. Magellan did not give us any official notices of changed ownership. Good luck to fellow Collectors out there renting storage units.